The man was airlifted to a Houston hospital in critical condition. Authorities in Texas shared body camera footage on Tuesday that showed officers pulling an unconscious man from a burning vehicle after a crash. 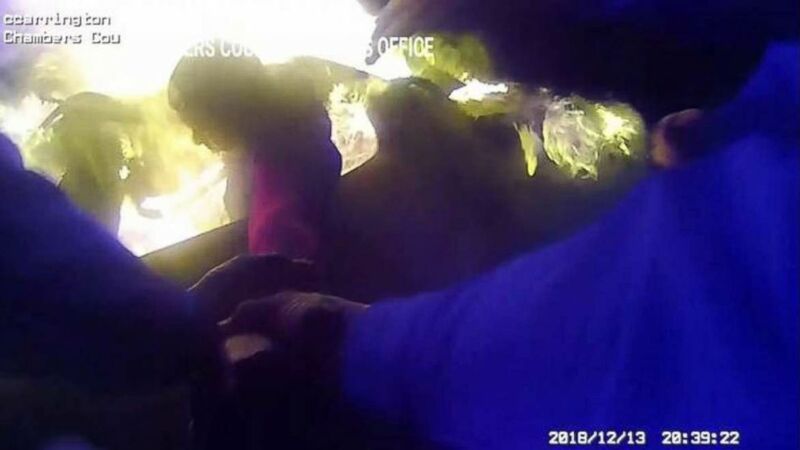 (Chambers County Sheriff's Office) A Texas sheriff's department shared body camera footage from a rescue on Tuesday, Dec. 18, 2018. 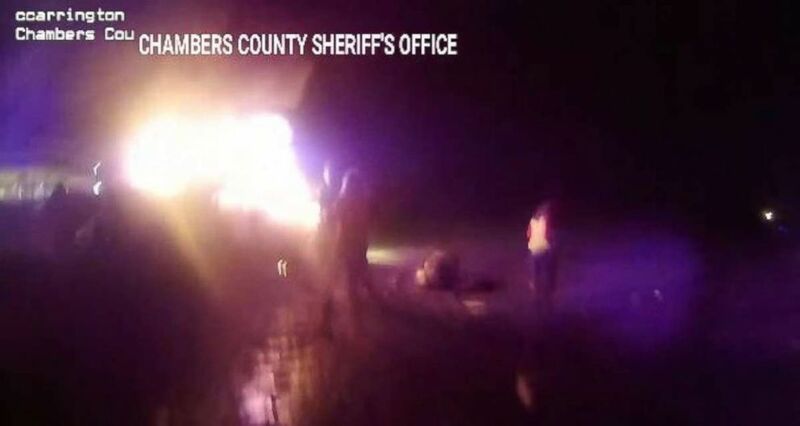 (Chambers County Sheriff's Office) A Texas sheriff's department shared footage of officers saving a burning man on Tuesday, Dec. 18, 2018.